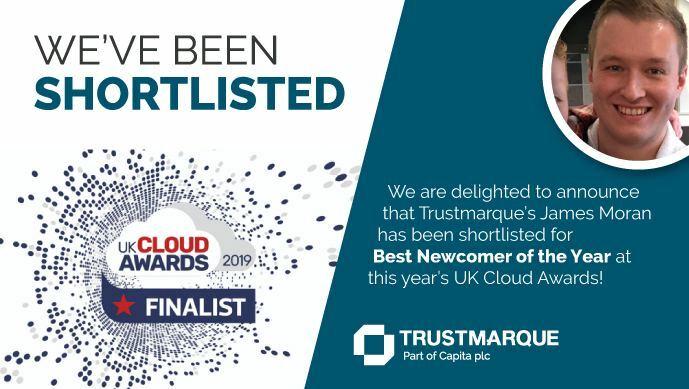 We are delighted to announce that one of Trustmarque’s colleagues has been shortlisted for the sixth annual UK Cloud Awards. 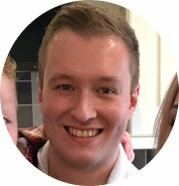 James Moran, ITAM Solutions Architect at Trustmarque, has been nominated for ‘Best Newcomer of the Year’ for his development of PRISM, an innovative Business Intelligence reporting tool available exclusively as a value add for Trustmarque customers. This powerful tool – driven by Microsoft Power BI – extracts highly targeted and complex information from multiple sources and brings this together via a series of dashboards to provide easy access to meaningful information that supports business decisions about your IT estate. I feel honoured to be nominated and am very grateful for the recognition PRISM has generated for my career. According to James, PRISM was born out of a desire to improve internal Trustmarque reporting processes, but it was quickly identified as being a valuable solution for customers in both the public and private sectors. “The idea of PRISM originally came around 1.5 years ago when I was attempting to automate a lot of the reporting the team produces,” he comments. “It started out in the form of scripts that would take in data and produce organised reports. Further down the road, this evolved to utilise Microsoft PowerBI and expanded as I taught myself how to use the application. PRISM has been shown to a variety of Trustmarque’s Managed Services customers and internal sales teams and has received an overwhelming amount of positive feedback, enabling Trustmarque’s ITAM team to strengthen their overall services. With in-depth analytics and reporting now a key component of the ITAM offering, they can now provide a holistic approach to dynamic IT asset management. It’s not the first time James has been recognised for his work on PRISM. He recently won the Capita Local Hero Awards for Design and Innovation. The awards are about celebrating staff achievement across the Capita group of which Trustmarque is a part. “I feel honoured to be nominated and am very grateful for the recognition PRISM has generated for my career. Following on from winning the Capita local heroes award, I feel really proud for what has been achieved through its creation, says James. James will now go head-to-head with just one other current contender in his category at the official Cloud Awards UK ceremony taking place on Thursday 16 May at County Hall in London. “All my colleagues have been full of praise and hopefully PRISM can go forward to win on the night,” concludes James.